Dogen is making the point that Baso was practising zazen after receiving the mind-seal from Nangaku. In the Zuimonki, on the other hand, Dogen said that Nangaku was admonishing Baso’s expectation to become buddha. Nangaku didn’t restrict Baso from practising zazen because zazen is a buddha’s practice. Nangaku and Baso together are expressing the true meaning of zazen as Dogen conveyed in his verses in the Eihei-koroku. This story is not about a teacher admonishing his disciple. It is about two masters who have really penetrated the deep meaning of zazen and are together expressing that true meaning. This is why we need to forget everything I have said about the story! Dogen’s comments can be read in the same way that one can view the painting entitled ‘my wife and my mother-in-law’. This picture can be seen as a portrait of a young woman or as an old lady. When we see it one way, the painting is of a young woman, and when we look at it in another way, the painting is of an old lady. Nothing has actually changed; nothing has been is reduced or added; it is the same painting but it can been seen in two completely different ways. When I read Dogen’s writings like this, I feel it is like seeing such a painting. The same writing can be viewed from completely different perspectives and may acquire completely different meanings. I am sure this koan story, `Nangaku polishing a tile’, was invented by someone rather than it being something that actually happened. The point of studying Dogen’s commentary is to consider whether the intention of the author of this story is basically the same as Dogen’s interpretation of it. There is no real answer to this question, so we have to create our own way of viewing the story by studying the original as well as Dogen’s commentary. We need to create our own version of ‘polishing a tile’. Merely memorising and understanding the original story, or Dogen’s sayings about it, are not enough. That is not what Dogen wanted of us. 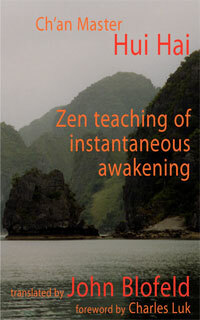 We need to read it creatively for the sake of deepening our own practice and understanding the dharma. This is how we study koan in Dogen Zenji’s tradition. Each time I read the Shobogenzo my interpretation or my understanding of it might be different, and actually it has been going through a process of change. My interpretation now is just the current version. This might be the old version by the time I talk about it next time! So, don’t cling to what I say; everything changes. ‘What are you aiming at in zazen?’ What Dogen is saying is very difficult and didn’t make sense to me at all for a long time. As I said, I had studied the work of Dogen at university and I have been practising zazen according to his teaching for thirty years. Until quite recently, this kind of writing didn’t make sense to me at all, yet somehow I couldn’t stop sitting — not because of my understanding of Dogen, but because of my trust in my teacher, or my teacher’s teacher. They had been practising for their entire lives and I wanted to live like them. That is why I didn’t stop sitting. However, I had to be very patient in order to sit with this kind of teaching by Dogen. We need to really understand what the word ‘zu’ means. I have translated it as ‘to aim at’ or ‘to intend’. When we do something, we have intention, purpose; there is something we want to achieve, and that is the meaning of this Chinese character ‘zu’. Another interpretation of ‘zu’ might be as a noun to mean ‘design’, ‘illustration’, ‘drawing’ or ‘painting’, an expression of something. Dogen plays with the two meanings of this one word. In the original story, Nangaku’s question is, `What do you want? What is your purpose or expectation? What are you aiming at in this action of sitting?’ And Baso’s answer is, `Becoming buddha’. Our intention in practising zazen is to become a buddha. But here Dogen interpreted `zu’ to mean `an illustration’ or `an expression’ of what we are aiming at — that is buddhahood. When we sit, we `aim at’ muso zanmai or formless samadhi. However, Dogen says that this sitting is an illustration or expression of this formless samadhi. In this case `zu’ is not being interpreted as `aim at’. It is very difficult to translate one word into two different English meanings, so I will continue to use `aim at’, but read it also as `illustration’ or `expression’. Sitting using this body and mind at this moment, is something close. Formless samadhi, nirvana, enlightenment or buddhahood, is something remote. Or, we could say, that this actual sitting is `the carved dragon’, and the formless samadhi is `the real dragon’. In the original story, Nangaku admonishes Baso for clinging to this form of sitting, or this `carved dragon’. 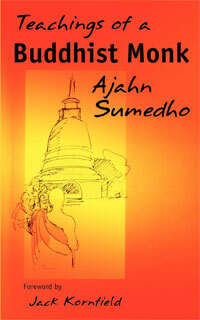 We should aim at the `formless samadhi’, or `formless buddha’. This is what Nangaku — or the person who made up the original story — is trying to say. We should go beyond this form using this body, like polishing a tile. Polishing a tile does not make a formless buddha. Dogen here, however, is saying that this form of sitting or polishing a tile, is nothing other than the expression of formless samadhi. As we are human beings, we cannot live without this body and mind. This sitting using body and mind is the only way we can express formless samadhi. In order to actualise this formless samadhi, we have to use this body and mind. That is what Dogen meant when he used this word `zu’, `illustration’ or `expression’. If we understand this point, then Dogen’s commentary will, hopefully, make sense. Dogen said, `We should quietly ponder and penetrate this question.’ It is not a simple question, according to Dogen. `Is there an aim [which also means `expression’, `zu’] which might be superior to zazen?’ Is there an expression of formless samadhi besides this sitting, or not? `Is there a way we should aim at beyond the framework of zazen that has not yet been accomplished?’ Is there some kind of formless samadhi besides this sitting using this body and mind, besides `polishing a tile’, or not? `Should we not aim at anything at all?’ Do we need to aim at, or do we need to express, given that this body and mind is already formless? If form is emptiness and emptiness is form, do we need to make or remake this form in order to see emptiness? This form is itself empty, so just to be form is an expression of emptiness. This form is a form of emptiness and the form of formless samadhi. What else do we have to aim at? Just aim at this posture. Just aim at letting go. Just aim at `polishing a tile’, that is itself formless samadhi. When I think of, for example, what I should talk about tomorrow — because it is my unfortunate karma to have to give dharma talks in English — this kind of thinking is Shohaku’s thinking in order to achieve Shohaku’s responsibility. But in zazen, when I let go of thought, when thought is just coming up and going away and I don’t grasp at it, then is this Shohaku’s thinking? Or is the subject which is thinking Shohaku, or not? Actually not. Yet it is nothing other than Shohaku. So, yes and no. Usually, or in our common way of thinking, a carved dragon cannot produce any weather, while the real dragon has the power to form clouds and make rain. This analogy of a carved dragon and a real dragon came from a story in a Chinese classic. In that story, an aristocrat loved dragons and collected many carved ones. A real dragon saw that he loved even the miniature dragons, so thought that if he visited the aristocrat, he would be very happy. The real dragon then appeared in the window of the aristocrat’s house. The aristocrat was so afraid that he fainted. That was the story. The meaning is that the carved dragon is a miniature of the true dragon. The carved dragon does not have the power that causes great winds and rain like the real one. A dragon in China is a god that controls the wind and rain, and creates typhoons. Dogen also used this analogy in Fukanzazengi. In Zen literature, this analogy of the true dragon and the carved dragon is normally used to express that we should not get stuck in simply collecting carved dragons, the miniatures, the forms, but should love the true dragon. That is a common usage of this analogy. In zazen, often our minds are busy and all different kinds of ego-centred thoughts come and go. It is difficult for us to focus, and we often feel that our minds are even busier than usual. We sit in the same posture as Buddha’s zazen, but feel that ours is just like a fake dragon which doesn’t have the real quality of zazen, which isn’t the formless samadhi. But that is not true. When we sit in a quiet place, we hear the noise made inside of ourselves. When we are outside of the zendo [the meditation hall] doing different things, it is much noisier and we don’t hear the noise made inside of ourselves. When in a quiet place like the zendo, however, there is no noise from outside and so we start to hear the noise from inside. That is why we may feel that our minds are busier during zazen than they are during the rest of the time. But that is a good sign, so don’t worry about it. To see our mind is busy is the starting point of practice. In our daily lives we don’t know how busy our minds are. Because we sit quietly we start to hear the noise from inside. Noise is not something meaningless. Unless something is there no sound will be made. So when there is a sound or noise, there is some cause. Without any cause there is no noise. Because our minds are busy, sleepy, painful or bored, we don’t feel that our zazen is the same as Buddha’s; we don’t feel that we experience awakening. Rather, we think this is the carved dragon. Nevertheless, according to Dogen, this dragon has the same power of forming clouds and making rain. This rain means dharma rain. Cloud is also used as an analogy of Buddha’s compassion which makes rain and nurtures all the plants. Clouds and rain is an analogy for Buddha’s teaching. Even our zazen which is a carved dragon has the power to form the clouds and rain, Buddha’s action, Buddha’s activity. The remote means the true dragon, or formless samadhi. Dogen asks us to neither value nor disparage the remote or the close. We put too much emphasis on the remote and the concrete, but we should not put too much emphasis on either. We need to be intimate with our own practice using our own body and mind. It is a carved dragon and it has form, and yet this form is the expression of the remote, of the formless buddha or dharmakaya. The eye can see only within the range of sight but we can hear even if something happens far away and comes to us through someone’s words. Eyes and ears are the same as the remote and the close. We have to keep our eyes and ears sharp and clear in order to really listen and see what is going on. This is our zazen, making our ears and eyes sharp and clear. In order not to overlook something close or remote we should see and study both. We have to practise using this limited and prejudicial body and mind which is always deluded. Still, sitting practice using our deluded body and mind is the illustration, manifestation or expression of formless samadhi. No one but Dogen can go into it like this with only this simple question, `What are you doing?’ — really amazing! Dogen’s comment is: `We should clarify and penetrate these words.’ They are really simple words, but according to Dogen they are very deep words! `What does “becoming buddha (zu-sa-butsu)” mean?’ We usually don’t question. We just say, `My aim is to become buddha.’ Baso was aiming at becoming buddha, and we don’t think what `becoming buddha’ means. 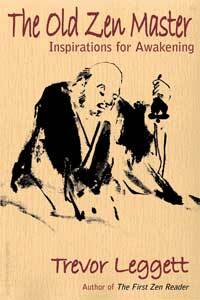 However, Dogen asks us to question this `becoming buddha’. If we are aiming at becoming buddha, how is it possible? Is it possible by the power of Buddha? Or can we become buddha by our personal power? That means, if our carved dragon, our zazen, manifests the buddha or formless samadhi, then we create the buddha using our body and mind. We make the buddha into a buddha by this simple sitting. In a sense, buddha makes us buddha and we make buddha. Without our practice, buddha or formless samadhi doesn’t really exist. Buddha died two thousand five hundred years ago. Without our practice, right now, right here, Buddha’s teaching means nothing. In that sense, our practice creates buddha. Because of our practice, Buddha is manifesting his eternal life right now, right here. We can say in both ways — Buddha enables us to become buddha and our practice is making buddha manifest itself. One face or two faces means buddha as an individual, like Shakyamuni Buddha, Amitabha Buddha, Medicine Buddha . . . there are numberless buddhas and our practice manifests one Buddha or another. `Is it “aiming-at-becoming-buddha”. . . ?’ This is what Baso said. Buddha is formless. Therefore `aiming-at-becoming-buddha’ means becoming formless. That is what `dropping off body and mind’ means. Dropping off body and mind is our zazen. The original word Dogen used for `entangled’ is `katto’. `Katsu’ in `katto’ is kudzu, the plant imported from Japan and causes problems in the southern part of the US. `To’ is `wisteria’. Both kudzu and wisteria are vines; they intertwine with each other and we don’t know which is which. Often, this expression `katto’ or `entanglement’ is used to refer to our delusion or our making karma based on delusion. We cannot stop katto. One bad karma becomes entangled with another karma, and we cannot stop this growth. Dogen used this same expression for the way the dharma has been transmitted from teacher to student. The teacher’s vine and the student’s vine become entangled with each other and there is no clear separation. My teacher’s practice and my practice is a kind of `same-practice’. My teacher’s practice is his practice, not mine; and my practice is my own, not my teacher’s. Still, my practice is a continuation of my teacher’s, and his practice is kind of entangled with his teacher’s practice, one after the other. So, my zazen, my teacher’s zazen, his teacher’s zazen, Dogen’s zazen, Bodhidharma’s zazen and Shakyamuni Buddha’s zazen, are all entwined — not only the sitting zazen practice, but all activities, all practices in Buddhism are entwined, interconnected with each other. This vein of life is what we call `kechimyaku’. When we receive dharma transmission or the precepts, we get the lineage chart, and on this chart there is a red line called `kechimyaku’ or `blood vein’. That is how this Dharma has been transmitted. What Dogen is saying here is that my sitting is my sitting but it is intertwined with my teacher’s sitting and other people’s sitting. Not only sitting, but also any other practices. All are connected and express the buddha-nature or buddhahood that is interconnected origination. Even though my practice is my personal practice, still this is actually connected with all buddhas, all ancestors and all other people. 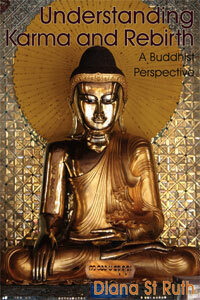 Part 6 First published in the November 2005 Buddhism Now. Read the rest of, Zazenshin: Acupuncture Needle of Zazen here. Thank you very much for this. Really terrific. Sadly, like the wife and my mother-in-law, our logic only considers two dimensions, whereas koans show how well multiple entendres wrapped in puns can work – Something we only appreciate when we learn the root meanings of the original language. The masters certainly seem to enjoy asking and responding in this fashion. zu sa butsu or zu sa zazen (if my interpolation is right) are merely two ways of saying the same thing. Both are coming and going, and crucially, both neither come nor go. Answer to a koan is in experience, not in words or language. Yep, just as I said. The finest explanation of why we meditate, I have ever read. Love this series. A wooden dragon still makes clouds and rain.